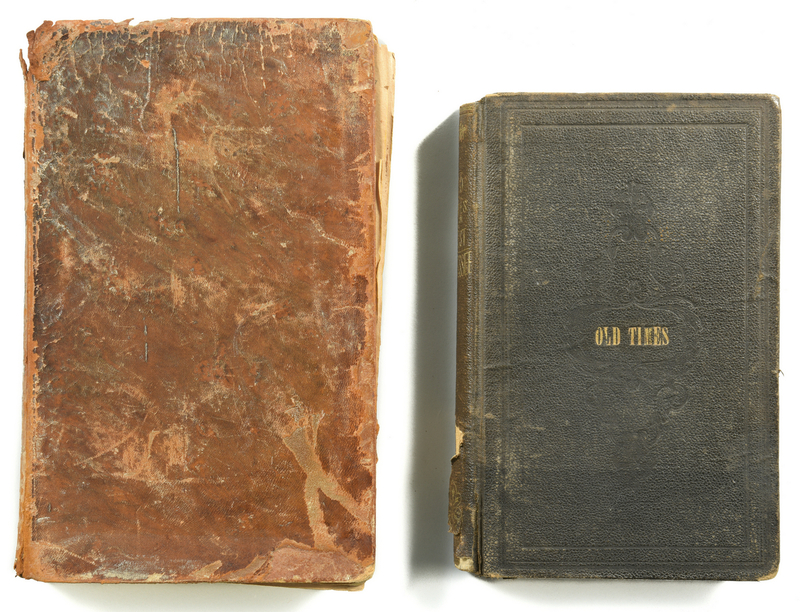 Two (2) Books: 1st book: James Stanislaus Williams, Old Times in West Tennessee: Reminiscences Semi-Historic of Pioneer Life and the Early Emigrant Settlers in the Big Hatchie Country by a Descendent of One of the First Settlers. Memphis: W. G. Cheeney, 1873. 6, 295pp. 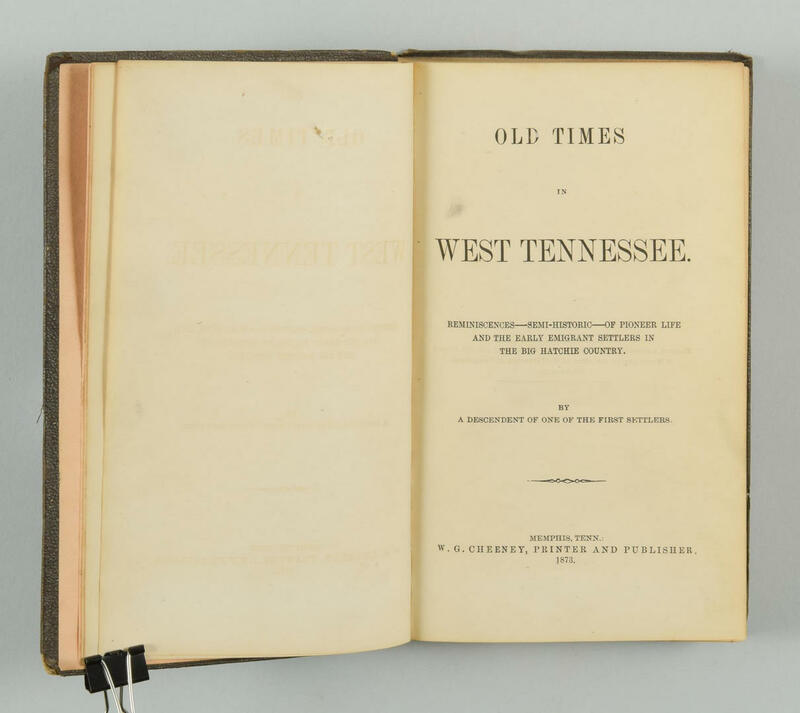 7 3/4″ H x 5″ W x 3/4″ D. 2nd book: Wilkins Tannehill, Sketches of the History of Literature from the Earliest Period to the Revival of Letters in the Fifteenth Century, Nashville: John S. Simpson, 1827. 344pp. 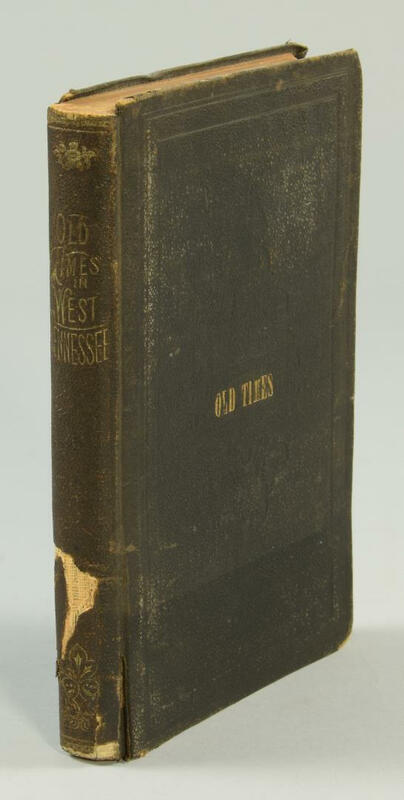 8 7/8″ H x 5 1/2″ W x 1 1/4″ D. CONDITION: Book 1: Old Times in West Tennessee: Text block in clean square condition with just some general toning. Binding shows wear at extremities including some loss to spine. 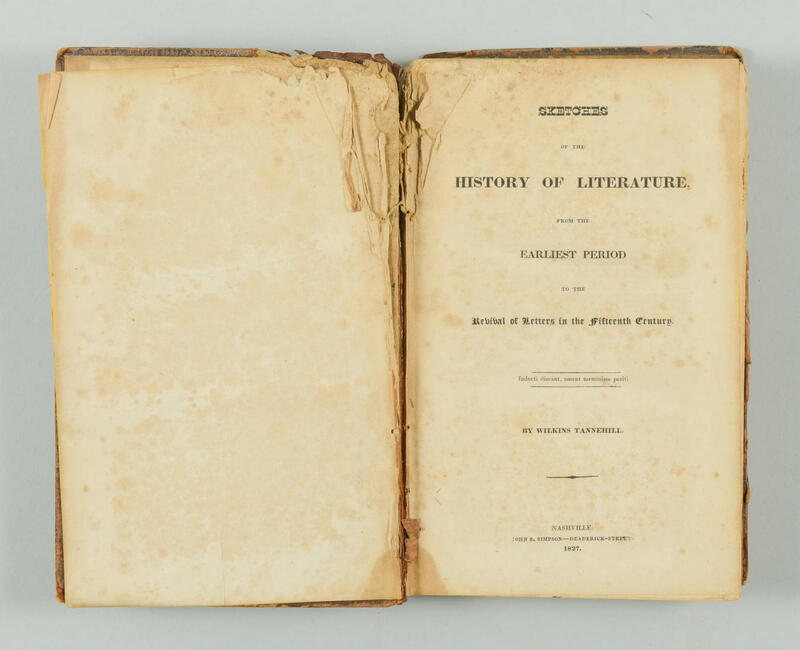 Book 2: Sketches of the History of Literature in rough contemporary calf binding. Hinges weak. Pages have some soiling, foxing, and chipping.